Proud to serve the Hayward area! Get pre-qualified at your bank. The mortgage lending environment is ever-changing; upcoming changes to lending rules and regulations may affect borrowers’ abilities to qualify for specific types of mortgages, and these changes require banks to take a more stringent look at borrowers’ debt-to-income ratio. A detailed visit with your banker will help ensure you qualify for a loan, and what amount you can borrow. Price. What is your desired price range? What is your absolute top end price? Location. Where do you want to live? How far from work, kids’ activities, medical services, shopping, etc are you willing to be? If you want a waterfront home, what lake or body of water do you prefer? Type of home. What is the purpose of your home and what style(s) will you consider? Will this be your family home? A vacation home? Will you consider a twin home or other multi-family unit? What about a condo, a cabin, a chalet? Must Haves. What amenities must you have: How many bedrooms minimum? Garage? Extra rooms and/or storage needs? Are a well and septic system ok or must you have municipal services? What heating sources are acceptable? How much acreage do you require? The list can go on depending on what is important to you…..
Must Not Haves. It is helpful for your Realtor to know property features that you absolutely will not consider in your home, such as specific locations, a home style you will not accept, a specific septic system you don’t want, two-story home, fixer-up, etc. Meet With Your Realtor. Sit down and have an in-depth conversation with your Realtor about what you are looking for. 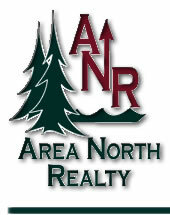 Now is the time to clearly express all your wants and wishes so your Realtor can find what you are really looking for. Be Ready To Put In An Offer. Of course it depends on the market in your area, but if your Realtor has a good inventory to choose from, and you’ve been clear on what you are looking for, you may end up finding your dream home quicker than you ever anticipated. Make sure you are ready to write that offer when the right house comes along! Have your earnest money readily available to put down and be sure your financing is game-on. Many buyers have ‘lost’ their dream home to another buyer, simply because they were not ready to act! If you are considering buying a new home, a waterfront or wooded cabin or condo, or even a building parcel in the Hayward area, contact me – I’ll provide you with honest, professional service from start to finish! This entry was posted in BUYERS, tips for home buyers and tagged buying a home, buying home in hayward, cabins for sale in hayward, cathy lareau, Dream Home, find a realtor hayward, first time home buyer, for sale in hayward, Mortgage loan, Real estate, Realtor. Bookmark the permalink.